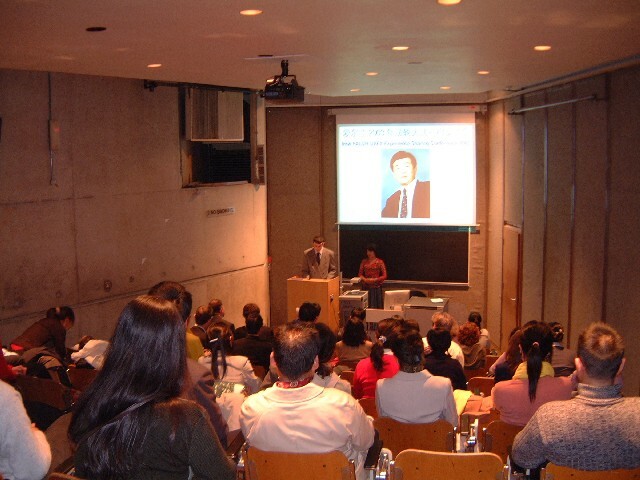 On Sunday the 9th of November 2003, the 2003 Ireland Falun Dafa Experience Sharing Conference was held in Dublin. The conference was attended by local practitioners, as well as practitioners from England, Scotland, Sweden and Belgium. The number of attendees was around 50; in a small lecture theatre, this created an intimate, yet solemn and dignified atmosphere. The conference opened with the reading of a proclamation from the Mayor of County Laois, who declared November 9th as Falun Dafa Day for the first time in Ireland. Many practitioners shared their experiences in Falun Dafa cultivation and in cultivating during the Fa-Rectification period. The practitioners who spoke at the conference had been practising Falun Gong for varied amounts of time, from six months to several years. The articles demonstrated different aspects of what it means to follow a righteous path in cultivation in the Fa-rectification period, as practitioners shared their experiences of doing well the three things Master has asked of us. The practitioners at the conference shared a similar feeling in their hearts: a feeling of deepest gratitude towards the boundless compassion and mercy of their Teacher, and the solemn wish to continue to do well what Dafa disciples should do in this critical period of time. The conference ended with all practitioners rising to sing “Falun Dafa Hao” together.